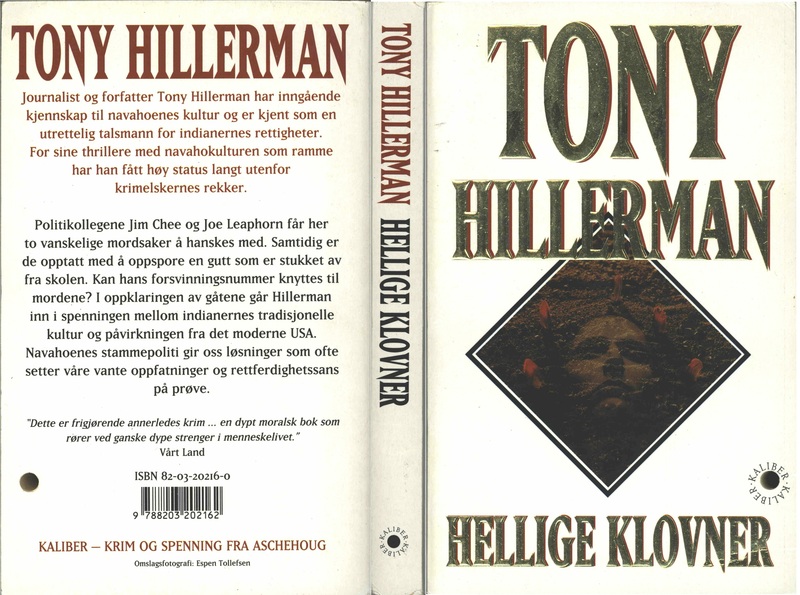 These are the full and detailed views of the cover for the Norwegian paperback edition of Sacred Clowns, published in 1996 by H. Aschehoug & Co. in Olso, Norway. 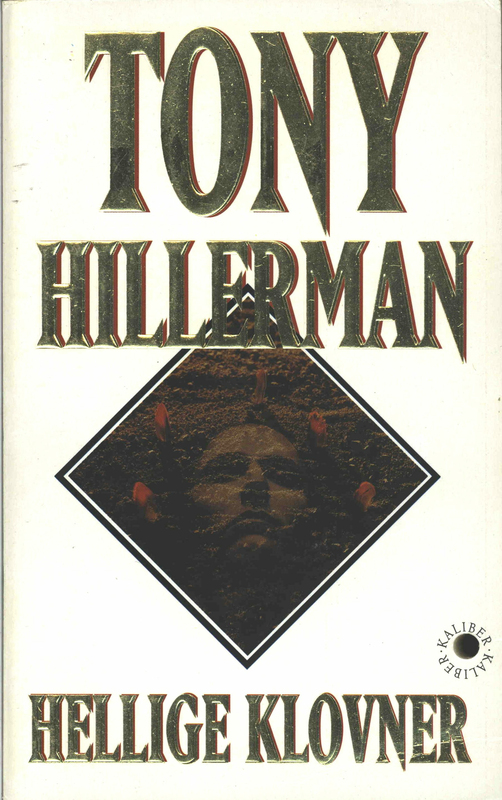 This edition was reissued as part of the Kaliber series. The text was translated into Norwegian by Atle Bjørge. Design and Photography Credits: The cover photo is by Espen Tollefsen and features a small inset picture of a dirt field with half buried feathers surrounding a ghostly image of a face. This is the same image that was used for the dust jacket for the hardback edition. An interesting aspect of the cover is the hole that penetrates the entire book from cover to cover. Around the hole is inscribed the moniker "Kaliber," in this case both a reference to the publisher Aschehoug's Kaliber series, as well as to the caliber of firearm projectiles, often associated with the scenes of crime in detective novels, and a clever artifice suggesting that this novel is witness to, or part of, a crime scene.